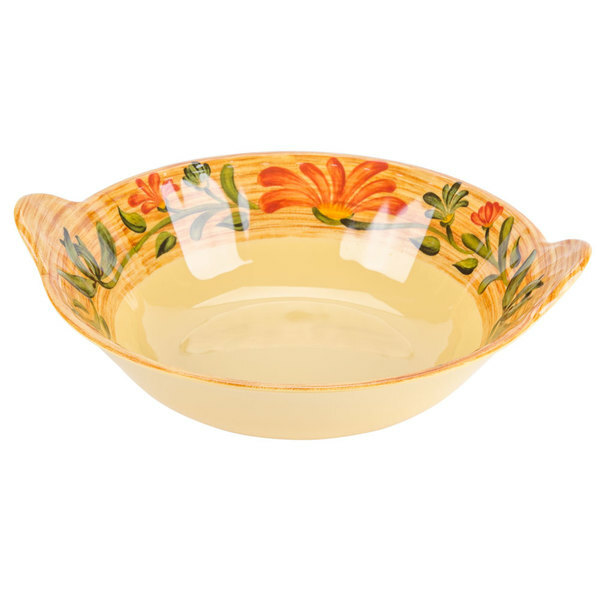 Serve your guests' favorite salads, entrees, and more in the GET ML-93-VN Venetian bowl. 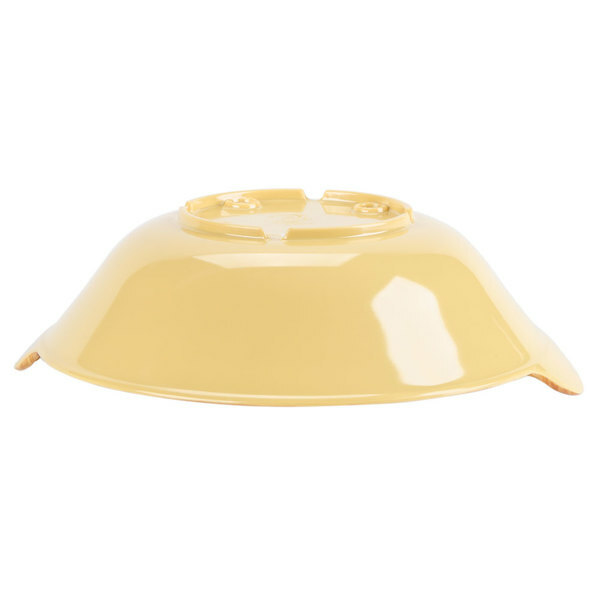 Ideal for restaurants, catered events, outdoor dining and more, this bowl features a versatile 2 qt. capacity and bright, fun design. 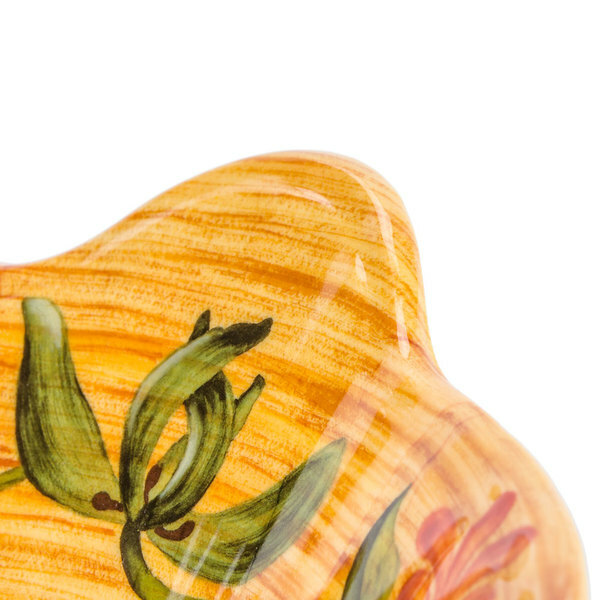 The pale yellow body is accented by a mustard-colored rim with a bold floral and green vine border for an intriguing appearance, while two sturdy, built-in handles ensure safe, easy transport. 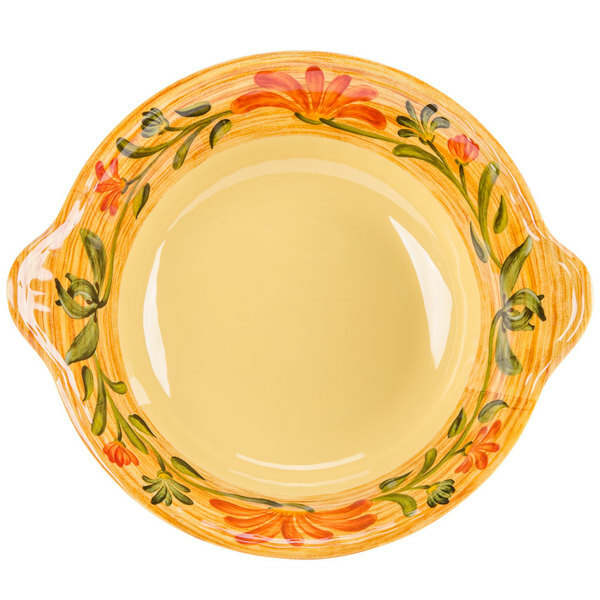 This bowl is perfect for displaying pasta salads, meats and other foods in style! This 2 qt. 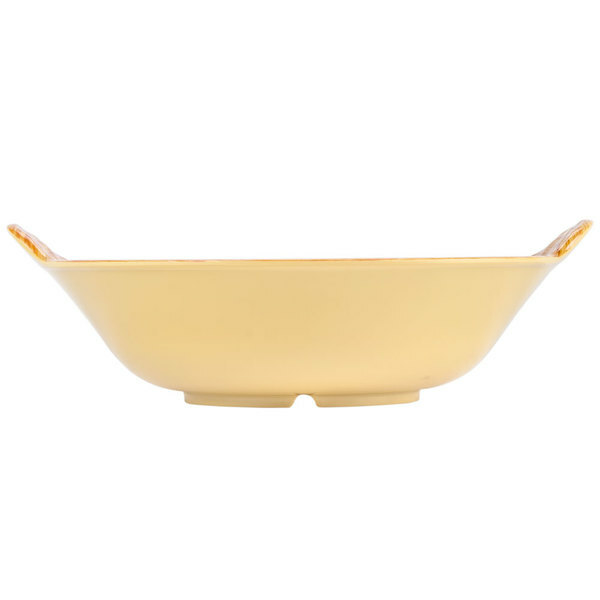 bowl is made of break-resistant melamine for unmatched longevity. We use the entire Venetian line in our deli and i really love the colors as I find they complement the food without competing with it. We ended up not using this bowl a lot because we found the rectangular tray held the most product and filled up the empty spaces. Bowls seemed to leave a lot of visual empty space in our display. 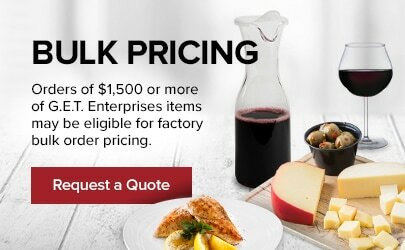 but the quality of the bowl is great!